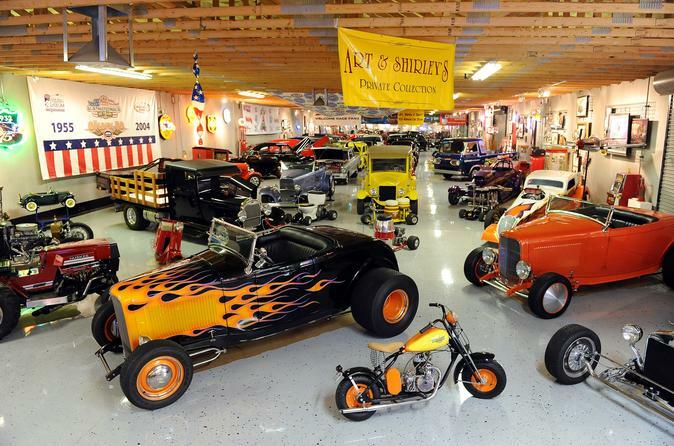 The Nostalgia Street Rods Museum is one of the most unique museums in the world. Hundreds of pristine, vintage, classic cars worth millions and millions of dollars is a must see and experience when you’re in Las Vegas! If you want a real treat the museum offers, a VIP tour with Art or Sheri Goldstrom - the man and daughter that spent most of their life collecting these absolutely beautiful automobiles. Art and Sheri have a story about every car and they are a virtual encyclopedia relating to these classic years. Las Vegas has a lot of entertainment to offer but if you want to experience something you will never forget The Nostalgia Street Rods Museum will deliver! The added bonus to this wonderful experience is the museum’s memorabilia section where you’ll find a large collection of antiques, signed sports and music memorabilia and much more is included with your paid admission!